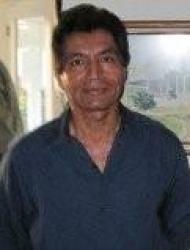 Rudy is an advanced Pranic Healer and he has been practicing for over ten years. He comes from a family of healers in Mexico. In addition, Rudy is a Board-Certified Naturopathic Doctor and has a background in Nutrition, Pranic Psychotherapy and Family Wellness. In today's world, stress and anxiety are common and create problems that require immediate attention. If we take into consideration that emotional issues have a direct effect on the physical body, then we can understand how important it is to have emotional balance for disease prevention and physical health. Immunity and Defense System: Disorders of the Eyes, Ears, and Throat; Skin Disorders; Heart and Circulatory Ailments; Respiratory and Gastrointestinal Ailments; Urinary and Reproductive Ailments; Endocrine Ailments: Skeletal and muscular Disorders and Brain and Nervous System. Phobias, Traumas, Obsessions and Compulsions, Addictions and Depression, Mental Retardation and Paranoia. With Distant Healing, the client does not need to be physically present. All the physical and psychological health concerns mentioned above can be treated. Rudy comes from a family of healers in Mexico. He grew up watching and learning from his mother while she treated and healed people successfully in his home town. He feels a sense of joy in caring for and helping others in his community. He sets the example of a healthy lifestyle by practicing vegetarianism,yoga, physical exercise, sculpting and meditation. Direct training in Advanced Pranic Healing and Pranic Psychotherapy from Master Stephen Co (one of only a few Master Pranic Healers in the world and direct disciple of Grand Master Choa Kok Sui, the creator of Pranic Healing). Rudy is also a board-certified naturopathic doctor in good standing with the American Naturopathic Medical Association (ANMA). Pranic Healing is an alternative healing method and a form of Energy Medicine that utilizes universal life force (Prana) as its primary healing agent. Having the right amount of this energy circulating throughout the body results in good health, while a deficiency of this energy causes health problems. Pranic Healing involves stimulating or increasing the amount of Prana in the body to accelerate the healing process. Pranic Healing is a less invasive and more treatment-specific form of energy medicine than Acupuncture, Therapeutic Touch, or Reiki. Pranic Healing uses a series of powerful but simple methods to generate Prana, including: non-touching hand movements and Pranic Breathing. Performing an aura cleansing is the first step to achieving physical, mental and emotional balance in your life. This technique also screens for diseases and health concerns even before they manifest in the physical body. Next, healing is applied focusing on those specific areas of the body that contain "dirty energy". After cleaning these spots, a specific type of Prana is infused to start the healing process. Depending on the sensitivity of the patient, a feeling of warmth or tingling may be felt during the healing session. Cleaning your physical body is as important as cleaning your aura. With the proper nutrition tailored to your needs, following the well-established precepts of Naturopathy, your body will start cleaning by itself, utilizing food as medicine. Pranic Psychotherapy is Pranic Healing applied to the treatment of psychological disorders, by focusing on specific chakras. Pranic Psychotherapy treats and alleviates psychological ailments and at the same time has a significant impact on physical health. Removing emotional blocks immensely improves well-being and overall health. A healing session typically lasts about an hour, but if there is a health concern to be addressed, an additional half-hour may be required.